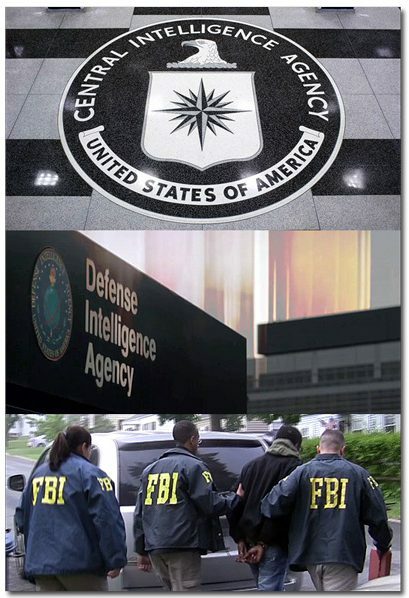 Argentine human rights groups have requested that the Obama Administration declassify records from the CIA, the Defense Department, and the FBI. The Obama Administration this week released what it called “the first tranche” of declassified documents on America’s role in Argentina’s Dirty War, fulfilling promises made by President Obama when he visited Buenos Aires earlier this year during the 40th anniversary of the military coup. This week the CIA announced that it will be releasing the President’s Daily Briefs from the Nixon and Ford administrations. An agency press release states, “Previously classified President’s Daily Briefings (PDB) from the Richard Nixon and Gerald Ford Administrations produced by the CIA are scheduled to be released on Wednesday, August 24 at the Richard Nixon Presidential Library and Museum in Yorba Linda, California.” PDBs are Top Secret documents containing the most current and significant intelligence information that the CIA believes that the President needs to know, and are records that CIA Director George Tenet once claimed could never be released for publication “no matter how old or historically significant it may be,” and that White House Press Secretary Ari Fleischer described as “the most highly sensitized classified document in the government.” The documents will be posted online here. D.C. District Court Judge James E. Boasberg recently criticized the FBI’s national security letters (our take on the NSL’s here). Specifically, Boasberg faulted “several large loopholes” in the “new rules regarding how long the government can demand secrecy from companies when it requests data on national security cases.” Some of the loopholes Boasberg cited include various circumstances that would allow the NSLs to remain open indefinitely and the lack of review for “large swaths” of issued NSLs. Boasberg is the first judge to publicly assess the new gag-order rules mandated by the USA Freedom Act of 2015. Earlier this month the FBI placed 18 hours of video surveillance taken during the Freddie Gray protests online in its FOIA vault. The action preceded a blistering Justice Department report faulting the Baltimore police department, which the DOJ says “regularly discriminated against black residents in poorer communities.” Kudos to the FBI not only for releasing this timely information, but for making it available to all on its FOIA site. The Office of the Director of National Intelligence recently posted an October 2009 report on “North Korea Centrifuge Capabilities” to its FOIA reading room. 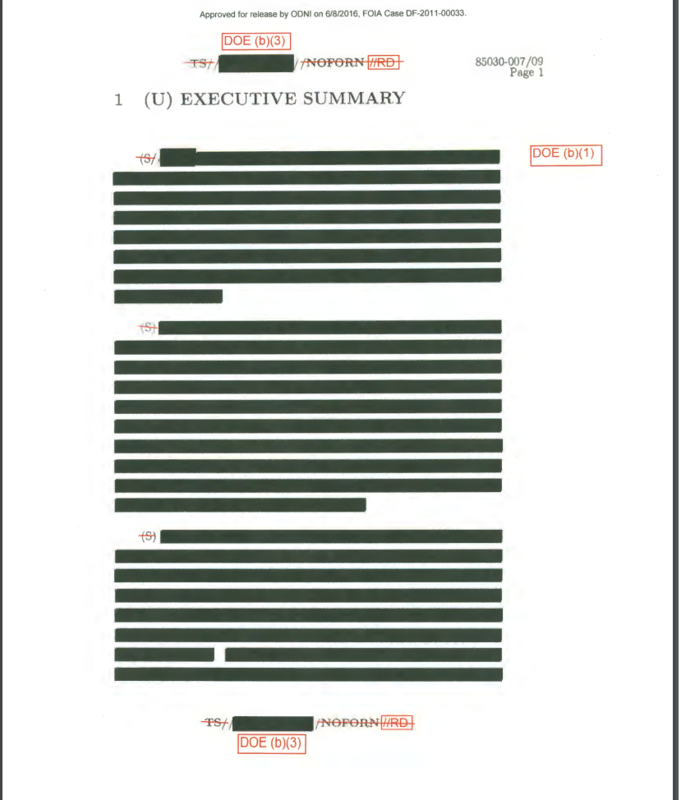 The Archive’s Cyber Vault director, Dr. Jeffrey Richelson, said the release of this heavily-redacted 124-page report was notable for the or the extent of DOE reclassification and the use of FOIA’s Exemption 3 to redact U/FOUO material. This week’s #tbt pick is a 2009 posting on Operation Sofia: Documenting Genocide in Guatemala. The posting details how internal records presented as evidence to the Spanish National Court showed that “the Guatemalan army, under the direction of military ruler Efraín Ríos Montt, carried out a deliberate counterinsurgency campaign in the summer of 1982 aimed at massacring thousands of indigenous peasants.” The National Security Archive’s Kate Doyle presented the documentation as evidence in the international genocide case; Ríos Montt was convicted in 2013 of crimes against humanity and sentenced to 80 years in prison.